- Designed to curve like a heart shape with massaging knobs. 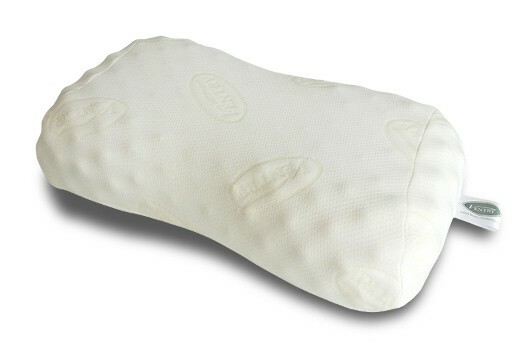 - The curve helps support head, neck, and shoulder during sleep. - Helps relax neck and scalp muscles. - The knobs help massage blood veins around the neck and head and increase blood circulation during to the brain sleep. - Made from 100% natural latex. - Durable with good elasticity.